Amazon S3 Server Side Encryption. How to encrypt/decrypt files on Amazon S3. Encrypt whole s3 bucket. Amazon S3 Server Side Encryption. How to Encrypt/Decrypt files. Automatically encrypt files. Why you may want to use SSE? What security problems does it solve? "SSE protects your data in attack scenarios where an attacker has access to the data, but not access to both keys. Thus this protects against stolen/lost disks. You can�t decrypt without having all the 3 elements: encrypted data, encryption key and the master key. AWS will decrypt the object for valid requests from AWS customers who are allowed access to the data. Thus, customers still would be required to securely maintain and manage their access id and secret keys. Also, you can control who will have access to your data through ACLs and bucket policies." Jeff Barr, AWS Evangelist. Select the file and click Files->Properties. The Encrypted row indicates whether the file is encrypted or not. 2. Click Encrypt to encrypt selected file(s) or Decrypt to decrypt them. 2. Click Encrypt to encrypt all files inside the bucket or Decrypt to decrypt them. 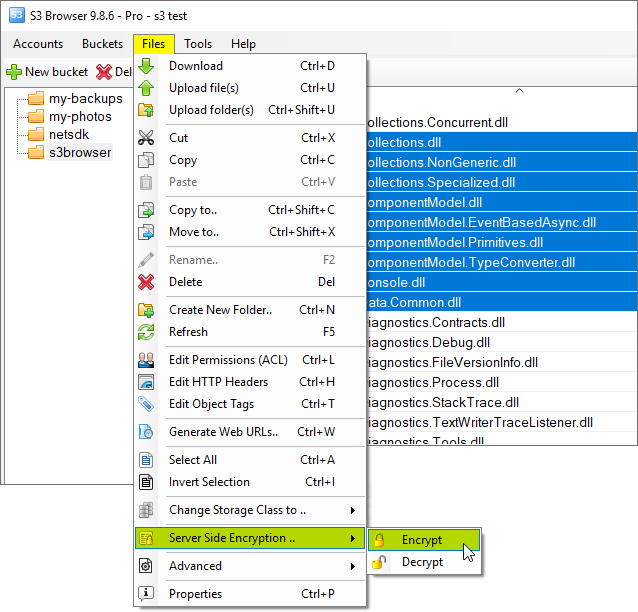 S3 Browser will enumerate all objects inside the bucket and enable Server Side Encryption for an each file. If your Amazon S3 Bucket contains a lot of files, this operation may take a while. 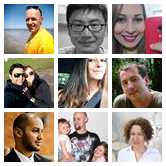 You can significantly increase performance using S3 Browser Pro. It allows you to increase the number of concurrent working threads and thereby process your files much more faster. S3 Browser will automatically enable Server Side Encryption for new files. Please note, this setting is stored locally, another tools will not apply Server Side Encryption automatically. How to enable encryption for a Bucket. 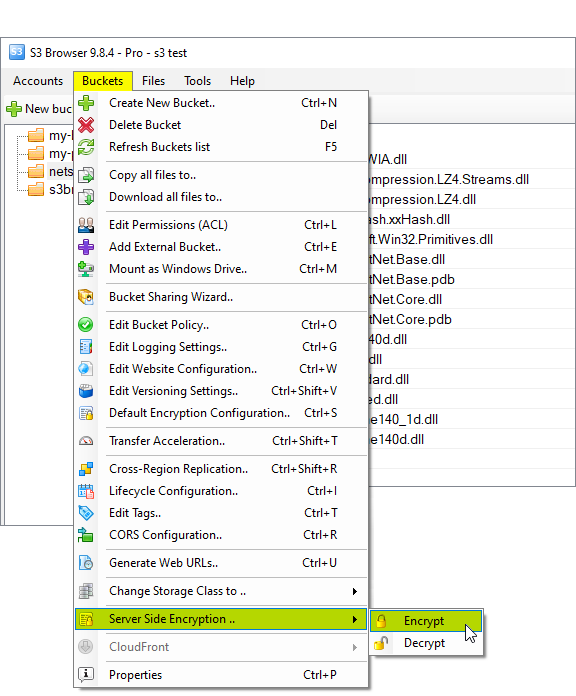 You can also enable Server Side Encryption for a particular bucket only. Bicket Propetis tab will open. Select the bucket and click Buckets->Properties. 2. Find Server Side Encryption row and click the Enabled/Disabled link to switch encryption status for a bucket.